Hi everyone! I’m Kim Byers from TheCelebrationShoppe.com and I have your girl Valentines covered with our pink, red and black “You Rock!” free printables. Want more personalized class Valentine card ideas? 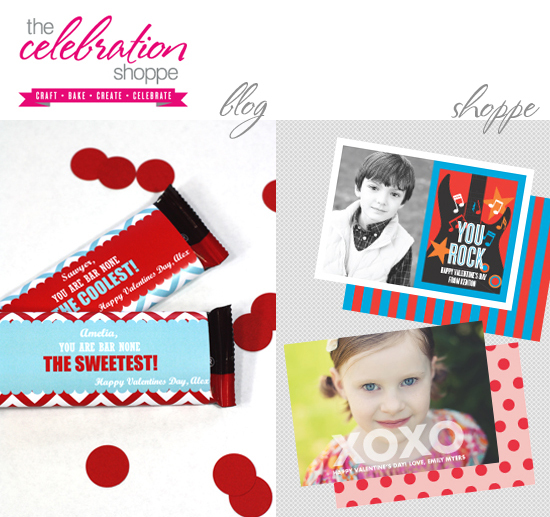 Hop over and visit me on my blog for these FREE chevron Valentine Candy Bar Wrappers. We have blue for the boys and red for the girls. 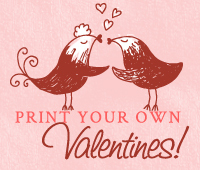 You can personalize these right inside the file before you print too! Or, join me in my shoppe for photo Valentine cards. We place the images for you, personalize your text and send you a high res digital file for printing. When I go to download this on Scribd and sign in it never downloads it- only shows a loading circle icon- and does nothing?? I have adobe reader. Is there anyway you can email this directly to me? I am sorry! I love these! My classroom has a rockstar theme and these would be perfect for me to give to my students if they did not say "Your Friend" at the bottom :( So cute though! @Mandi and @Divya - so glad you like them! Enjoy! @DTravelbee - you have to download the file first. Once it's on your computer, click on the text "name" and a cursor will appear. Delete those words and enter your kiddos names. Thank you for sharing Kim. 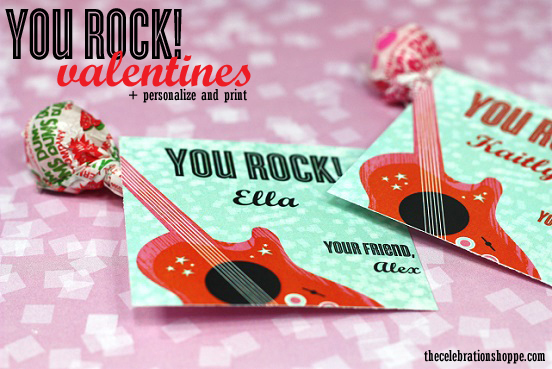 These printables would be so cute attached to Pop Rock candy. I looked at your website and found your candy bar wrappers too (so cute!). Thank you for sharing! how do I put my children's names on it? Frustrated!!!! Love this idea. Thanks for posting it. Carolyn - so glad you like them! Enjoy! These are so cool! I love the design.